Due to the installer file sizes of some HD Android games you cannot simply download their .apk files and install them directly. Most smartphone won’t have enough internal memory to install some HD Android games due to their large installer files sizes. 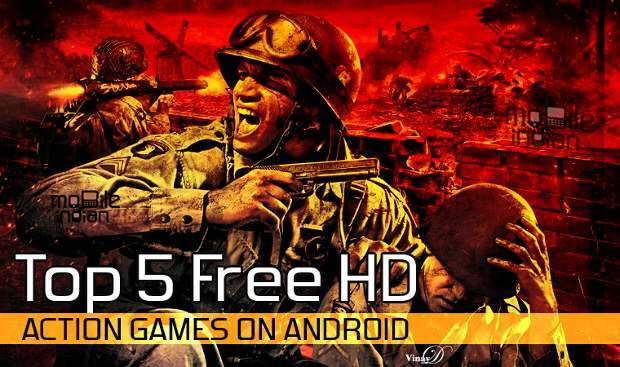 Some HD games are more than 1gigayte in size, so such HD Android games often comes either as a single large file package which when installed will require you to download additional data or resource or it could come as a compressed or archived (.zip or .rar) package containing both the apk file and the additional data or resource which can be as small as 60MB and as large as 2GB or more. Most HD games on the Google Play Store will require you to download the extra required data or resource via Wi-Fi due to its large file sizes before the game can play. But if you downloaded your HD game from free Android game download sites like mob.org then it probably came as a compressed package. To install such HD Android games, you will require having a file explorer like ES File Explorer installed on your phone. On your PC, extract the game compressed file you downloaded and you will see the game installer .apk file, the game cache (zip file) and maybe the install note. Connect your phone to your PC via USB and ensure the USB debugging is enabled. Copy the game installer .apk file and the game cache (zip file) to your Phone external memory as the files are always large. Then you can disconnect the phone from the PC. Launch the ES File Explorer and locate the files you just copied to your memory card. Install the game .apk file just like you used to install any other .apk files. Next read the install note to find out the right directory for the cache files, some games requires you to extract the cache folder to the sdcard/Android/data/ directory while some prefers the sdcard/Android/obb/ directory, so if the game requires the former you won’t have to create any folder as the sdcard/Android /data folder is already available on every Android device, but if it requires the later, you will have to open the Android folder in your memory card and create a new folder and name it obb. 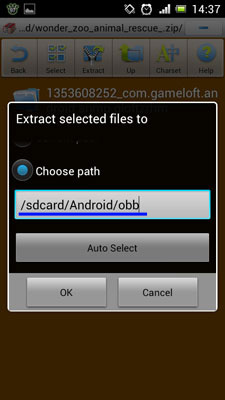 Extract the cache folder to the right directory sdcard/Android/data/ or sdcard/Android/obb/ as the case may be. Open the “obb” or “data” folder as the case may be, where you’ve extracted the cache archive to see if the folder was extracted. Then you can close the ES File Explorer and run the game and play. I hope you find this tutorial useful enough to share it with your friends. If you have any more sites to download HD Android games, you can share with me using the comment form below. Remember to subscribe to my RSS feed. You’ve got quite a detailed tutorial here. Though I’m not a games fan, I enjoy andriod OS above all else. I also believe a game or two would do no harm especially good action ones! Thanks for the game resources at the end of the post…I may benefit from them in the near future! hi there nwosu. thanks for sharing this tutorial since i love playing games. but playing an HD game is way coolest.. though as you said, it would take a large space in our android phones and tablets.. i hope android has final fantasy games in HD :) do android has final fantasy games? Sure thing, they do…check the sites i recommended. I’m planning to buy Sony Xperia M Dual mobile phone. Is it good for gaming? And thanks for this tutorial on installing large HD games as I hope this will help me in the future. Any Android phone with at least 1gb worth of ram can play HD games. These are same method i use to install my games. HD games on Droid had been one of the ways I enjoy my droid at my leisure, my fone has a 512MB RAM, yet they all run well, the only thing that can hinder a particular game from working is the OS version it supports, as upcoming HD games would require Android 4.2 (Jellybean) when my OS is 4.0.1 (ICS). Hello, I’m a noob when it comes to this. So, please help me out. By extracting, do you mean just placing the extracted obb file in the obb folder or extracting the contents of the obb file which include several game files to the obb folder? Actually, I tried both with Dead Trigger and still a message pops up saying “Unfortunately, Dead Trigger has stopped”. you will extract it into a folder in the obb folder. Hey friend great advice! I’m not good with technology and I’ve got a Sony Xperia Z.I would love to play HD games, I’ll be following your steps and if I get stuck please help me! Can i know if the note 3 use the same step or not. Since i hve done the same way, but theres a warning says download cache file failed.. really hope you can help.. Yes every Android works same way. Check if you missed anything. Using Es Explorer File is another method to install application and games android on mobile or tablet. Web Analytics Tools: Which is most accurate?